A young 11 year old bright student has been diagnosed with a rare type of Blood Cancer ( Acute Myeloid Lukemia) has been struggling with his life at Tata Medical Center Kolkata. 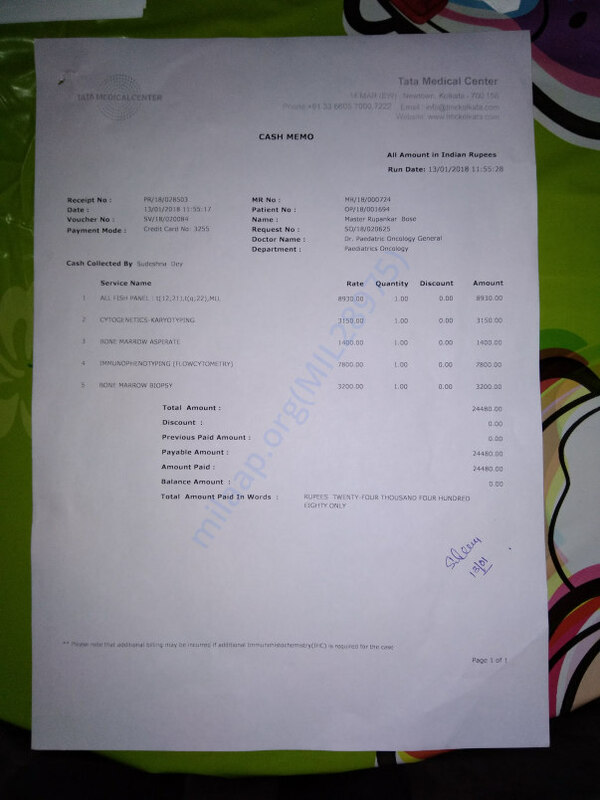 His Father has neurological problem and runs a small grocery shop in front of their ancestral home near Barasat, Kolkata with meagre income and his mother is house wife.Please come forward to save a bright student and a fellow citizen. 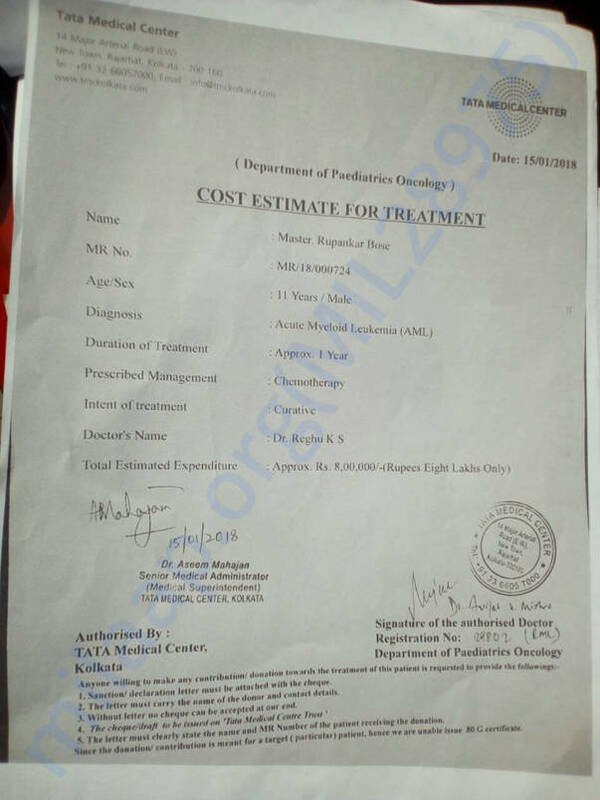 Estimated cost of treatment is Rs: 10,00,000. (10 lac). 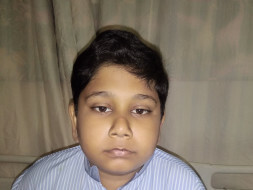 Rupankar is undergoing 4th Chemotherapy and responding well to the treatment. Will keep you posted on his progress. Rupankar is discharged on 22nd after 2nd chemotherapy. Thereafter readmitted on 26th due to fever. 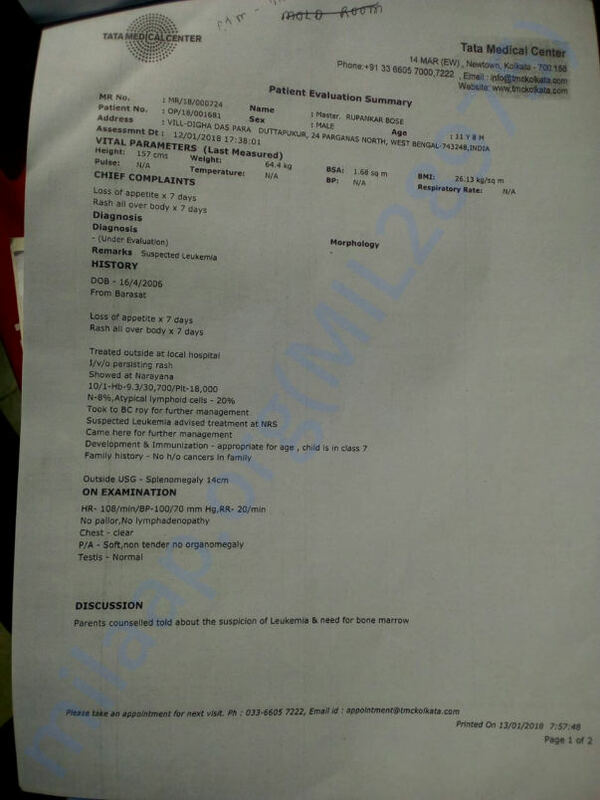 Yesterday he was going to be discharged but was detained for another day since the re-occurrence of mild fever after getting an unit of R. B. C.
The concerned Doctor told that the count would be increased after the 7th day of his last discharge. Thank you all for the support. We will keep you posted on the progress. 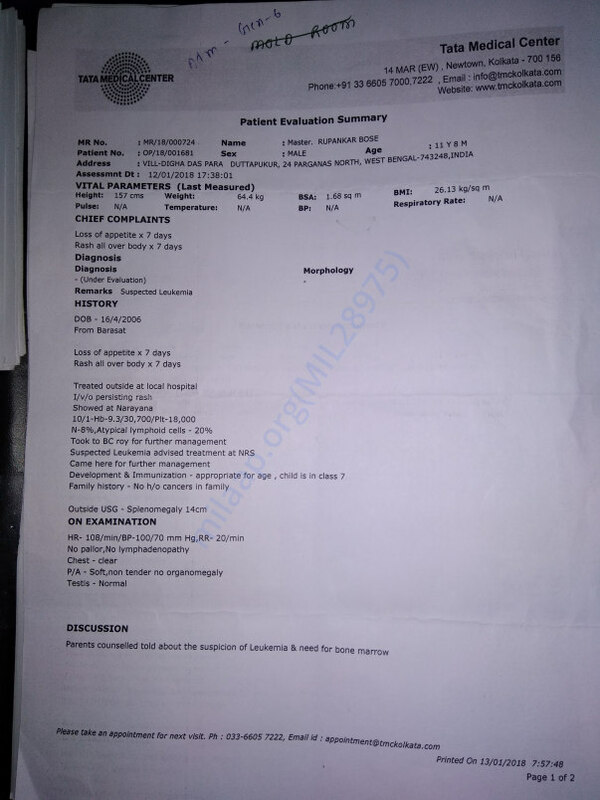 The 1st chemotherapy which concluded on 31st January 2018 had been given in 10 parts from second chemotherapy the number of parts will be reduced gradually. 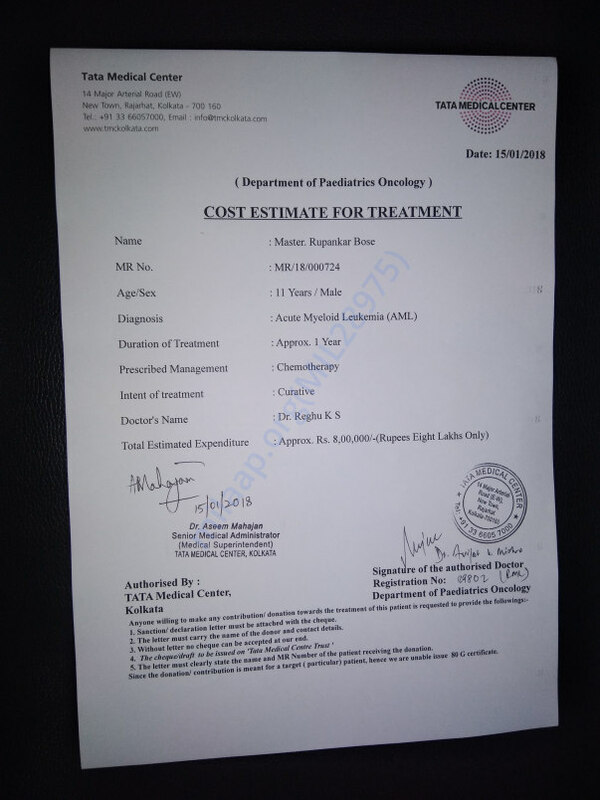 The first set cost around Rs 313608 along with Rs 45000 at the emergency before admission around 30000 hospital allied cost for medical tests and OPD costs. Thank you for your love and support. Please share this campaign as we still require more funds.